Shopping cart abandonment is giving a substantial adverse effect on any e-commerce business. It is also an unwanted behavior exhibited by a lot of online customers. Sometimes, it is putting a lot of items in their shopping carts, then abandoning it when it is time for checkout. It is because of a lot of reasons, which you can avoid using different techniques. Continue reading if you are experiencing #cart #abandonment because we will show you different practices to stop losing #shoppers during checkout time. A lot of people are abandoning their shopping cart because of not having a good view with their cart. If their cart is not seen, and they proceed to checkout, they might be surprised with the items they have in and will end up abandoning their cart. You can avoid this by putting a cart icon on the top of your screen with the number of items it has. For example, a cart icon with the number 3 on it means they have three items pending for checkout in their shopping carts. You would not want to be a source of a hassle to your potential customers and audiences. A source of trouble can be different e-commerce sites that require sign-in when buying a product. It can affect the time when customers are buying for you, making it longer, and generating a higher bounce rate from your audience. According to RedStag, 23% of users will abandon their shopping cart if they have to create a new user account. What you can do to this problem is giving a better experience in their online shopping by allowing guest checkout on the first purchase. If you give users a successful experience, you can invite them to create an account. However, we are 100% sure that they will create an account without even asking them if you give your first-time customers an excellent purchasing experience in your site. Wherever the customer is on your site, you need to show the total cost they have as of the moment. It should showcase all costs they are expected to pay to you. It should contain not only the full price of the products they have in their cart but also the shipping costs and other costs you will charge to them. In that way, you will not shock them with the price they will pay for their delivery from you. E-commerce sites that do not employ this have higher risks of their customers abandoning their carts and not coming back. 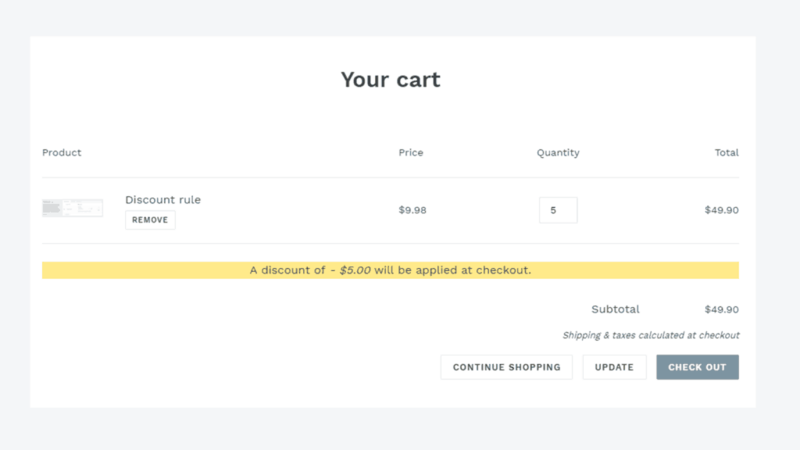 Another way to save people from abandoning their carts is through showing discounts on the checkout page. In this part, you need to reinforce your buyers that they are making the right decision in checking out their carts. You can show a lot of benefits in the checkout page and even discount they are having as of the moment. You can display the amount of money they saved if they bought the product in another shop or a physical store. Also, you can show the product’s original price concerning the discount you gave. You may also explain the free return policy you may have if their product has defects. Lastly, you can show them that you are giving out free shipping and support. You can show complementary products to reduce the people during checkout. This strategy is perfect if your products need accessories with it. For instance, you are selling smartphones, and you can show a page of accessories to be paired with the phone they plan to buy just before checkout. When it is time for checkout, you can show the discount they obtained when they added an accessory in their cart. You can also put a good deal such as free shipping if a buyer adds an accessory. 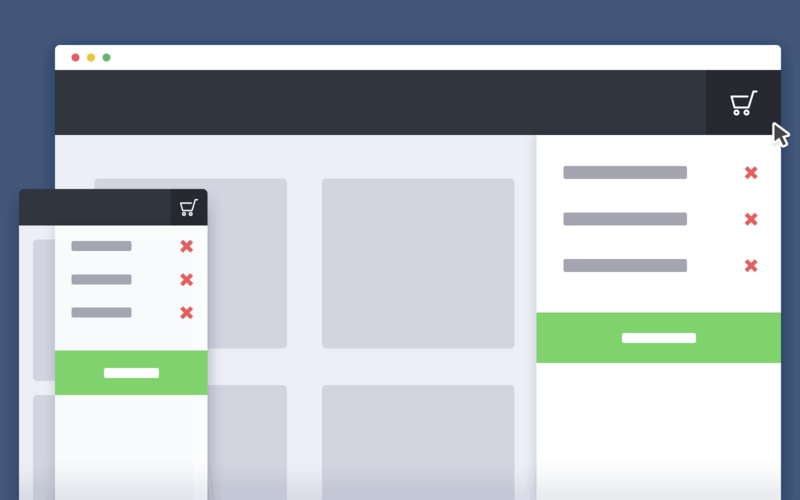 If you want to learn more about how to take advantage of free shipping for your products, you can check out this shipping and fulfillment guide from Shopify. If your buyers have abandoned their carts, you can go after them using remarketing campaigns. Remarketing is a campaign that is targeting your customers in different platforms online. For example, Facebook remarketing is one technique where you can use Facebook ads for this. You can show the products that are in their shopping carts as ads on Facebook. With this technique, you can win back your customers even if they are not in your site. With the rise of online shops everywhere, you should make sure that your overall experience to customers and audiences are hassle-free and stress-free. If you do not, your revenue and sales will suffer a lot. Also, if you are offering the same products with other shops, you will have an edge to them by providing an excellent experience in the shopping and checkout process of your site. Just by following these six practices, you can ensure great feedback from your customers. Published on February 3, 2019 under cart abandonment, e-commerce.